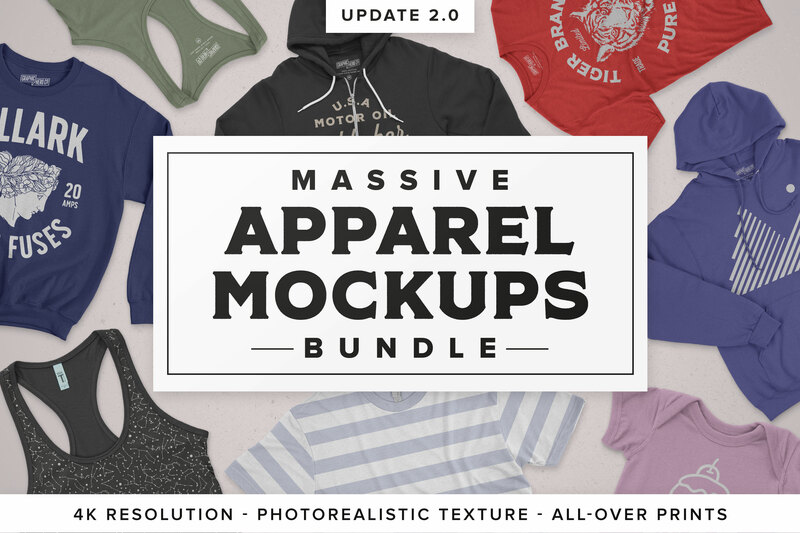 Get this awesome bundle with apparel mockups of amazing quality at the best price in the , this new update brings better features that will make your work look sleek and professional. 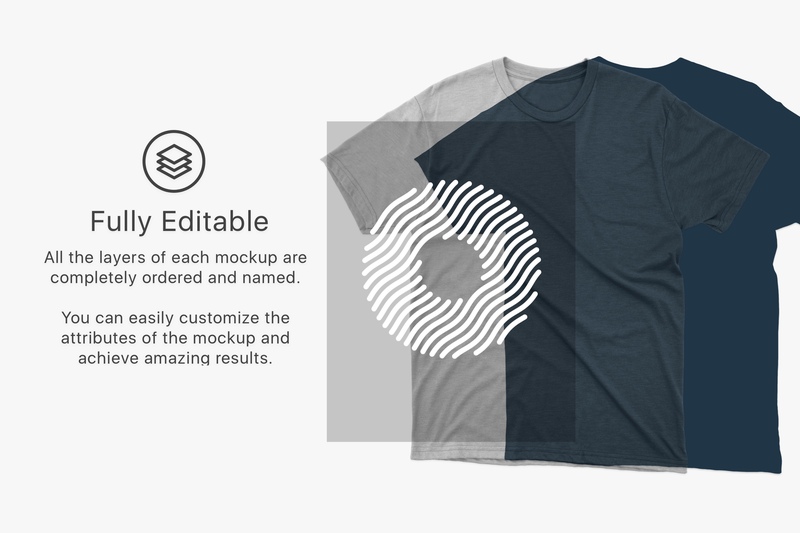 Each mockup has all its layers perfectly named and organized, customize your mockup will be a very easy and simple task. 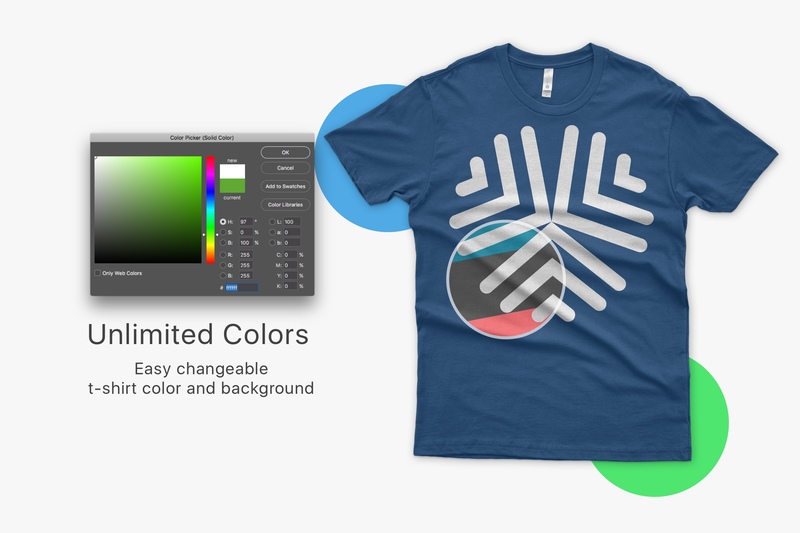 You can change the color of your shirt very easily, you are just at one click to find the color you like in the color panel or you can select one from the “presets” folder. 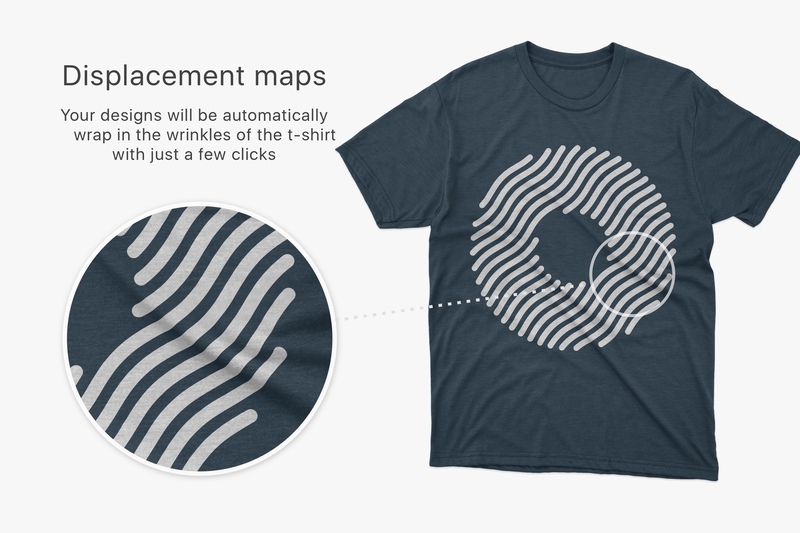 To update the mockup with your design just drag and drop it into the smartobject, save and see how the design of your shirt is updated. Your designs will always look sharp thanks to the high resolution of mockups, a size of 4000x4000px will make trimming and zooming on your design is not a problem. All mockups come with a .PDF file of help but we will always be happy to help you and resolve any doubts you may have. 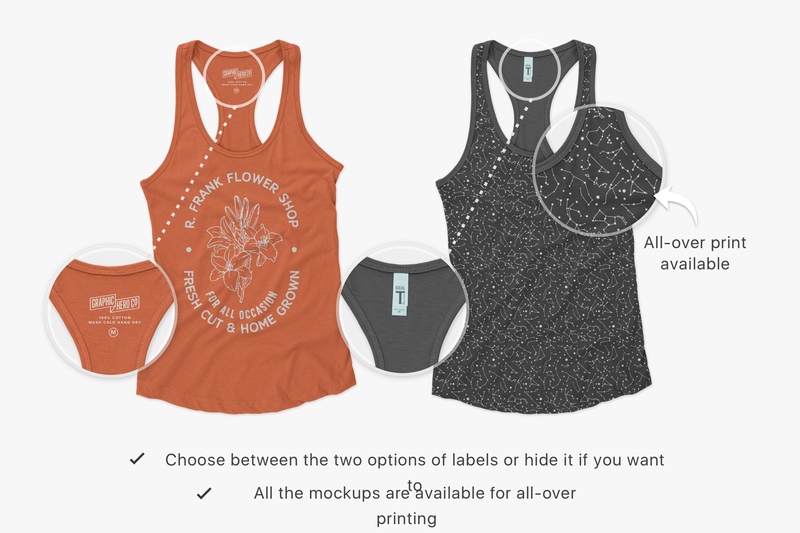 Please note that the designs used on t-shirts are not included in the package and only serve to preview the mockups. File size is approx 12.25GB (zipped). Each pack is provided as a separate download link (26 links in total), for your convenience. Hi, is there a mockup creator for adding blue jeans and shoes to go with the shirts? Thank you so much for your comment and I’m so sorry for any disappointment caused by the compatibility of this particular pack. Unfortunately the compatibility is completely at the discretion of the designer so my sincerest apologies if this one will not work for you in your design software. Rest assured we are more than happy to help you locate similar packs that may work for you so I have popped you over an email to help! Does this include both versions 1.0 and 2.0, or just version 2.0? And the “free updates forever” – is that just updates for V 2.0 or does this include future pack updates? Thank you so much for your comment and we’re so sorry for any confusion caused! Try to double the design layer and put it in soft-light /overlay mode, plus add the same layer in color mode over it. I have purchased the bundle but I can not find the mockup of the polo shirts and the crewneck sweatshirt. Thank you so much for reaching out to us and I am so sorry for any confusion caused! This pack received a huge update in January 2018, and the resources have been upgraded, which is why you can see version 1.0 and 2.0 listed on our deal page. In your downloads you should see all of the 2.0 versions of these apparel items so my apologies for any confusion! I have popped you an email as well to help you get up and running with all of your mockups without further delay! 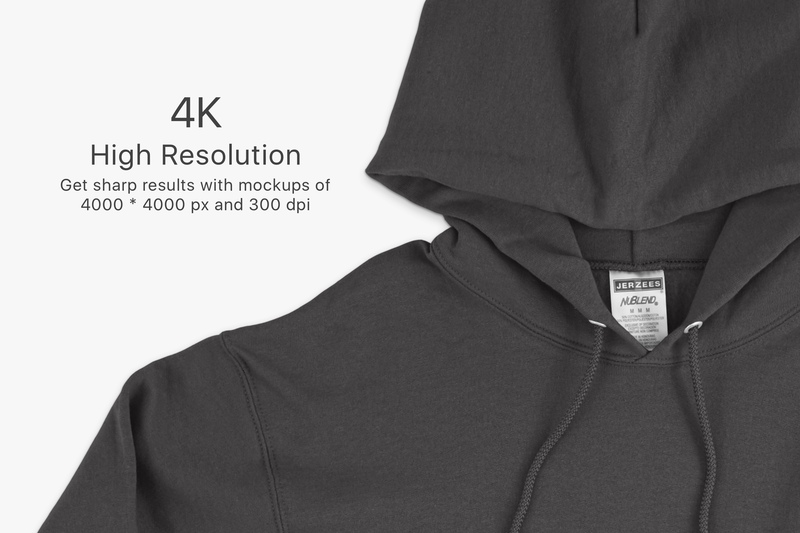 Does this include men’s hoodie with zipper front and back views? Is there a list of the brand/model of each shirt included in the pack? 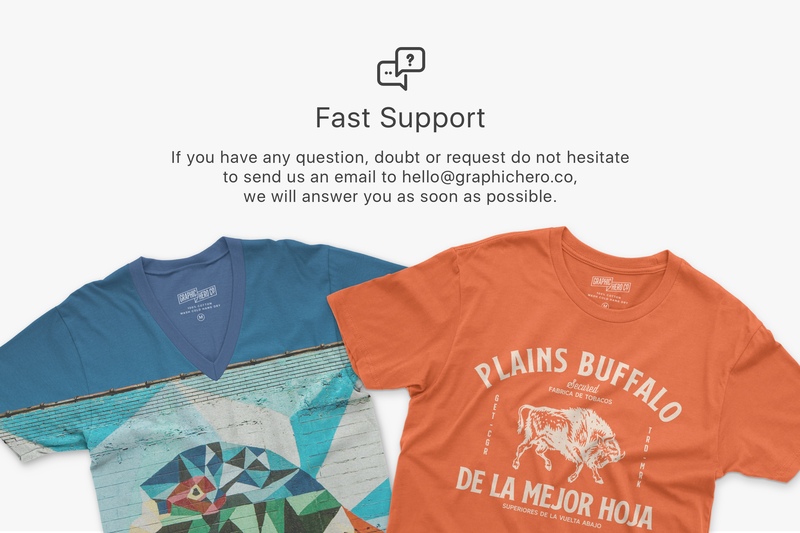 In case a client wants the exact shirt shown? Thank you for your comment. I’m really sorry but I’m afraid that the brand/model of each clothing item is not included in this pack. I apologise for any inconvenience caused but please do let me know if you would like me to touch base with the designer to enquire this for you. I need the color on my design look bright (just as they are) and this mockup darkens all color on the smart object when applied. Thank you for your comment! I’m so sorry for any inconvenience caused when working with this item. Rest assured, I am on the case to help you with this! I’ve sent you an email to get some more information from you and get you up and running again. I hope it helps! is there the back of each product included or only the frontside? Most of our apparel have a backprint, too. Thank you for your comment! I’m really sorry but I’m afraid that this product would only feature the frontside of these apparel items. I apologise for any inconvenience but I certainly point you in the right direction to find some mockups with the backs available as well? Please do let me know and I will happily offer some suggestions! I wrote Antonio an email with my matter. He said “Each model in the bundle comes with one or two mockups from the back view of the t-shirt”. So everything is fine and this package will work for me! Fantastic, thanks for letting me know , Flo! So, are there front and back for each model or not? The great news is that the designer has included one or two back view mockups for these models so my sincerest apologies for any confusion caused! I have popped you over an email as well to help!